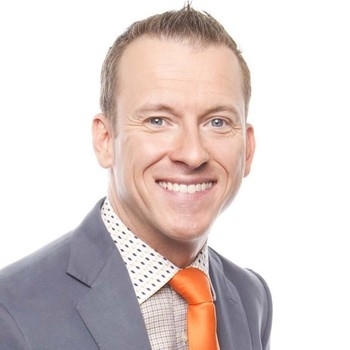 We are extremely pleased to announce world-renowned educator, Ron Clark's nomination and placement in the Top 50 Finalists for the Global Teacher Award! The Global Teacher Prize Academy had the task of selecting 50 finalists out of 5,000 nominations and applications from 127 countries with only eight teachers from the United States. The academy will be awarding the winner with one million dollars, the biggest prize "in the history of its kind," and the Nobel Prize for education. "Ron’s innovative way of teaching consists of a three-pronged approach. He aims to put students into a good mood, so that they are more likely to retain information. He makes a point of creating personal relationships with his students and their families. And lastly, his classes are extremely demanding: he teaches to the top students, so that the gifted ones are challenged and the others are inspired to catch up to their level." We couldn't think of a better candidate for an honor like this! Ron is one of the most inspirational, energetic, passionate and motivated educators we've ever had the pleasure of partnering with. His ability to engage and build a lasting relationship with his students is nothing short of magical. The same can be said for any event he has the opportunity to be a part of. Simply put: Ron truly loves what he does and it truly stands out in every capacity. Be sure to check out his stellar Top 50 Finalist profile on The Global Teacher Prize website for some instant inspiration! Congratulations, Ron! Way To Go Ron Clark! The Ron Clark Academy | Where Are They Now? Ron Clark Academy Students Compete in The "Amazing Shake"